October 4th 3033, 5041 Theotes, Jupiter Trojans, Greek Camp. 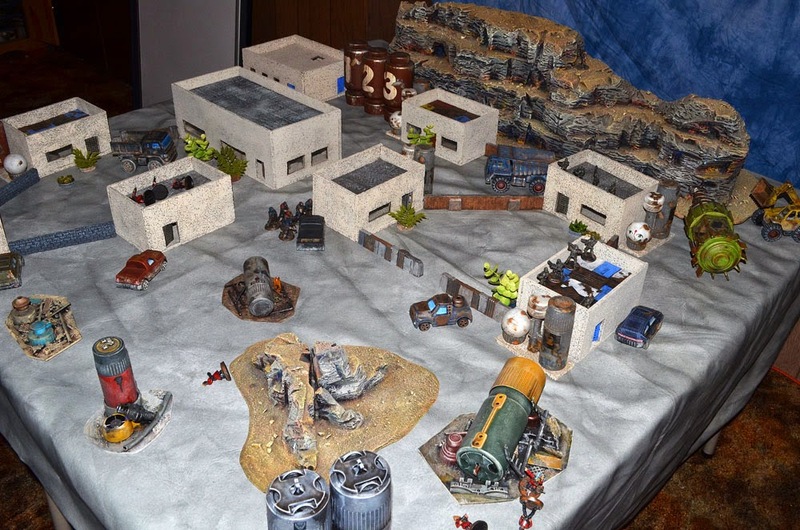 A small force of Blood Born and Scrap Dog Pirates ran into a patrol of Star Guard Mercenaries in a small mining outpost on 5041 Theotes. The pirates outnumbered the small mercenary patrol but the Star Guard troopers were heavily armored and well equipped. 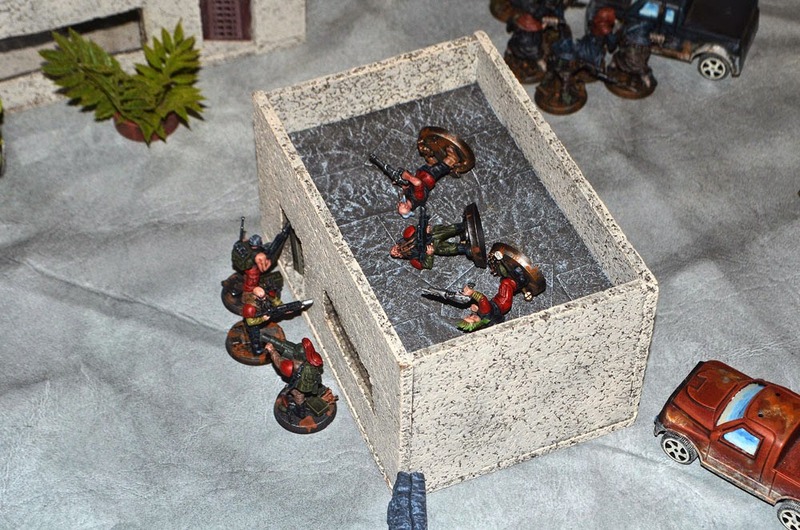 As the pirate infiltrators advanced one was shot down by a mercenary sniper. 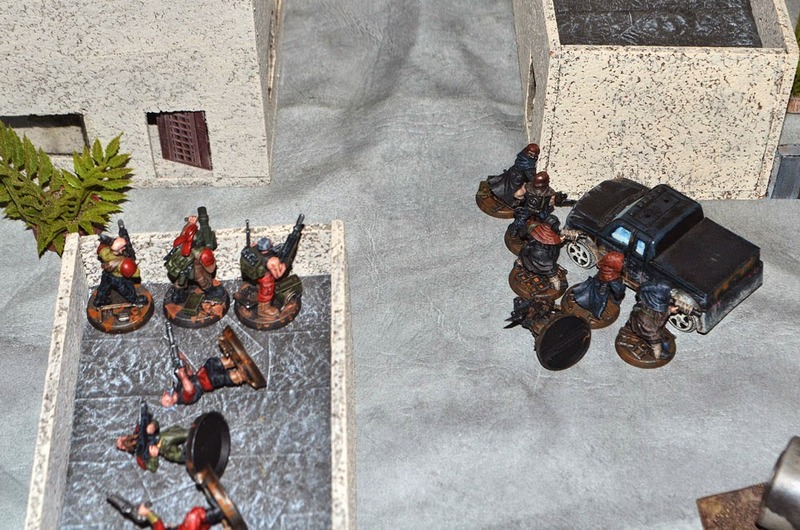 The pirates begin their advance while the mercenary forces tried to find better ground. 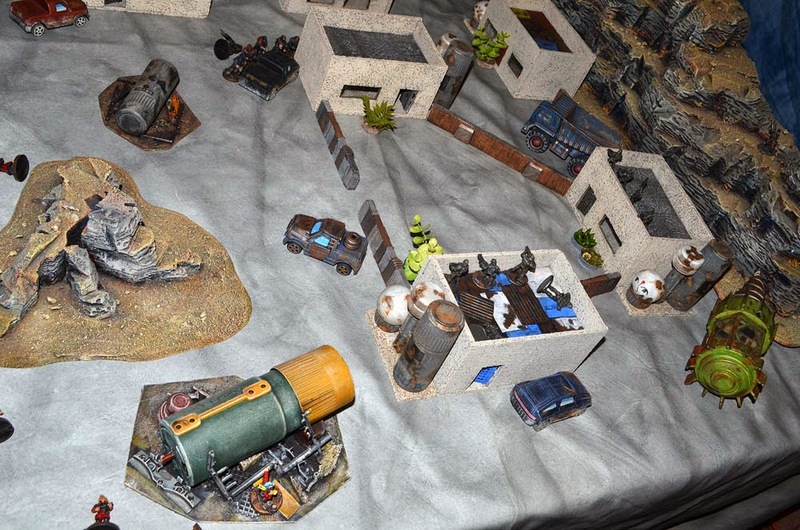 Another pirate infiltrator was shot down by the mercenary sniper and two were gunned down by the Star Guard medic. 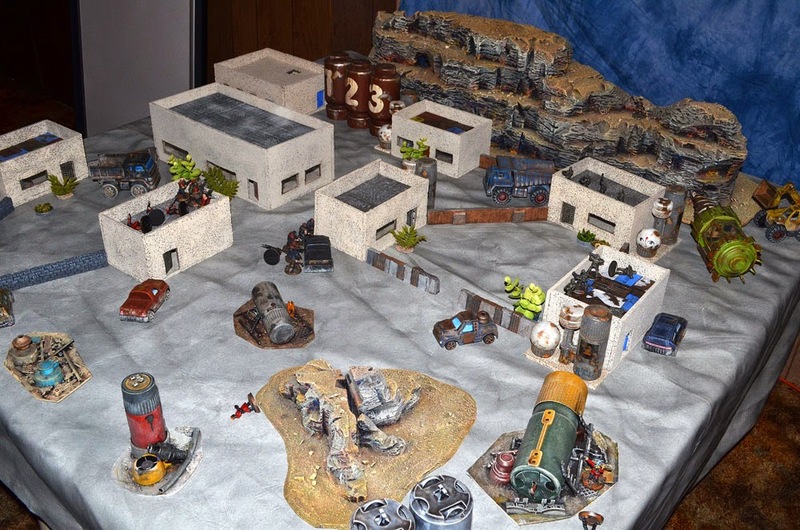 The main body of the pirate force moved through the settlement while the mercenaries were distracted by their squad of "Duct Rats". The pirates continue to advance but they are met by a hail of gunfire from the mercenaries killing several of their numbers. 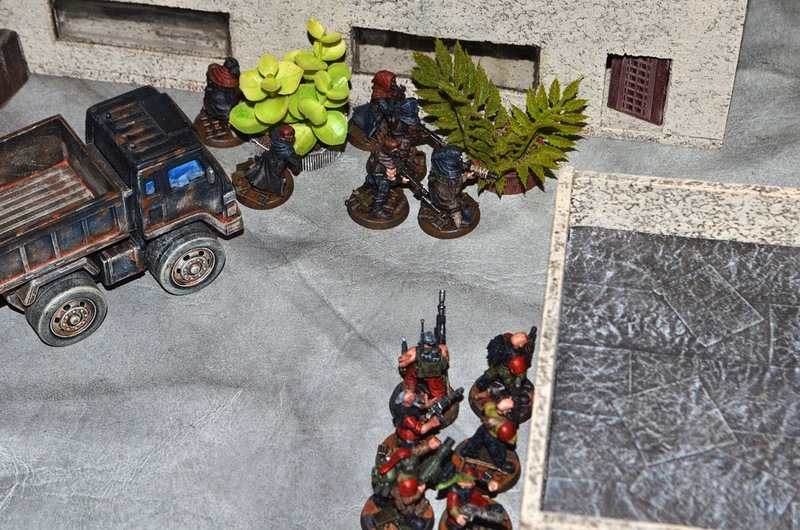 The Blood Born Raiders break and run back behind a building they have taken cover on after loosing three of their squad members. The "Duct Rat" Mate kills the mercenary medic at the same time that one of the Scrap Dog Raiders kills a member of Alpha squad. The Pirate forces fight on but they can do little in the face of the Star Guards superior position and fire power. The Blood Born Raider squad is finally whipped out by Beta squad. 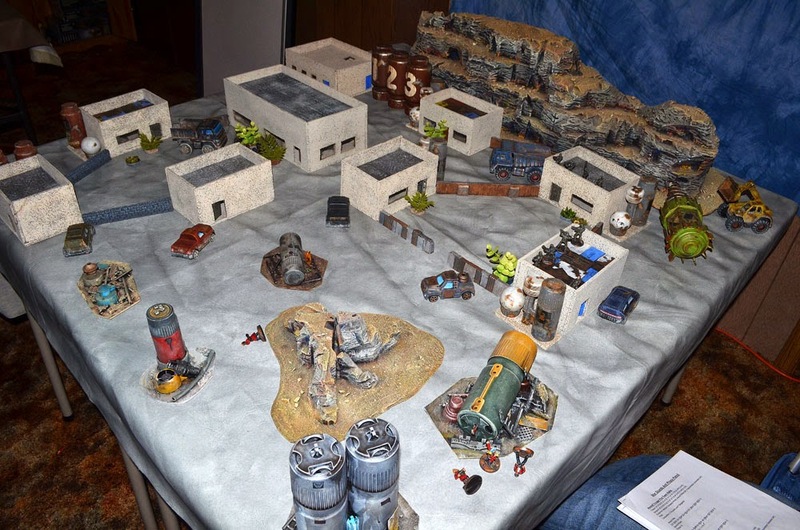 The Scrap Dogs continue to fire at Alpha squad but none of their shots manage to penetrate the mercenaries thick armor. Without any remaining targets the last "Duct Rat" ducks back behind the cover of a large junk pile. Down to 6 out of the 17 pirates they started the battle with the pirates decide that it is time to run. 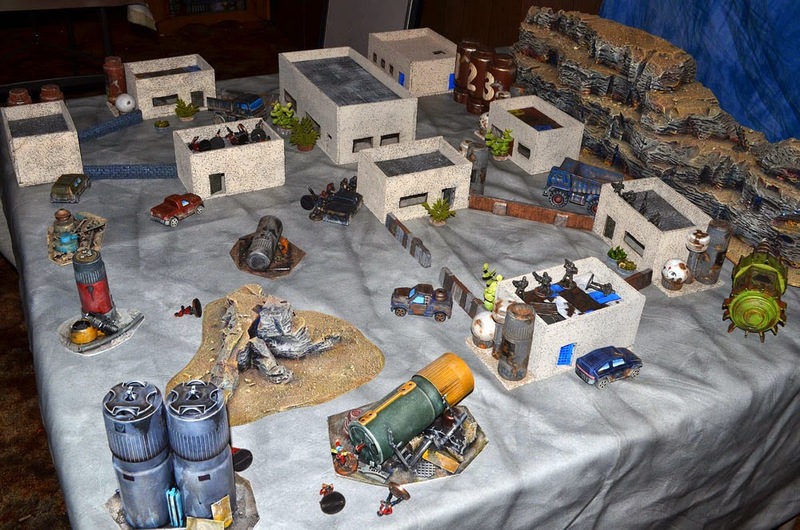 The mercenaries fulfill their contract to protect the mining operation suffering just two casualties. 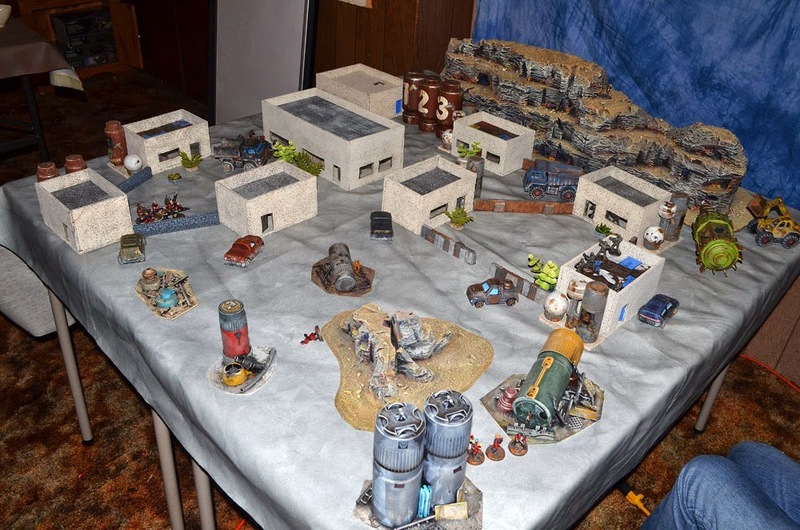 Notes: This is a small 500 point battle I ran with my daughter who played the Star Guard mercenaries while I played the pirates. We tried to keep it very basic for her first game. This game represents one of the many skirmishes fought between pirate raiders and mercenaries in the Solar Empires. 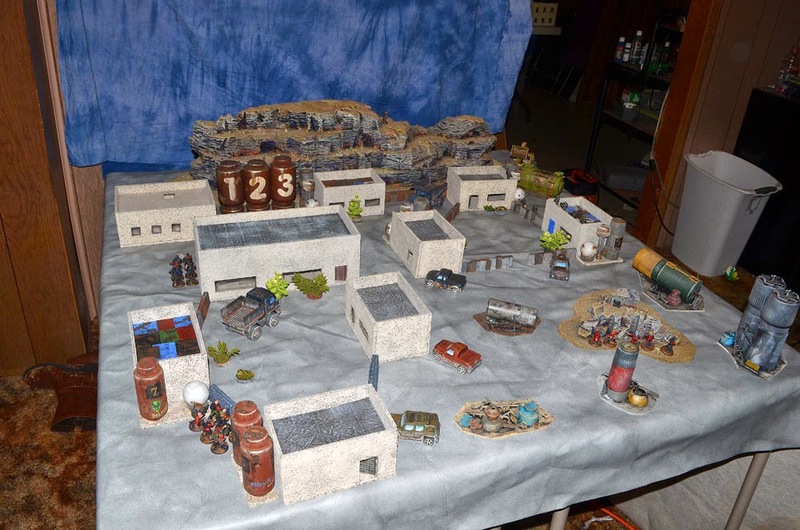 Another ace game report. Your table rocks. Great looking minis too. I really enjoy reading them.